Why not spice up your iPhone photos with some different effects, filters, or editing techniques? Some of the very best photo apps are exclusively available only on the iPhone, so it’s easy for iPhone users to create and enhance beautiful photos with just a few taps of the touchscreen. Use of Stories format to share photo collections. Deeply integrated with many other apps. Owned by Facebook, so assume your data are being sold or leaked. Tends to focus on "influencers" — celebrities who get paid to share photos with you that are actually advertisements for brands. Every iPhone owner should have the Instagram app installed for quickly sharing photos and videos with friends. Best known for its vintage filters and optional borders, the popular app now offers additional editing effects (such as cropping, brightness, contrast, saturation, etc.) that can be instantly applied to any photo, bringing a nice touch to every photo you share with other Instagram users as you gather more followers. 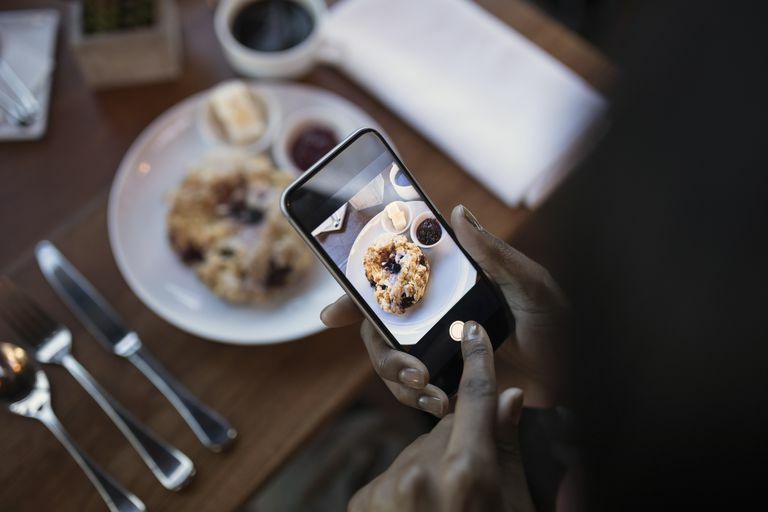 Instagram photos can be shared on the Instagram website or directly posted to your Facebook, Twitter, Tumblr, or on other social media sites. Decent set of fast editing options for mobile. Occasional app glitches, as reported in the App Store by users. Among all the nifty photo apps available and the convenience of taking high quality photos with your iPhone, Snapseed has to be one of the top options out there. Developed by Google, this one uses simple touchscreen gestures — like pinching or scrolling side to side — to easily make just the right type of adjustment to your photo. It's incredibly intuitive to use and has one of the most complete feature offerings of all free photo apps to totally transform your photos into a professional looking piece of art. You can share directly from Snapseed to social networking sites after you've made all the finishing touches. Generous service storage — 1 TB or more. Use Flickr's own album service or share images to social media. Decent (but not overwhelming) editing options. Flickr's heyday has long since passed, and Yahoo's troubled ownership hasn't helped. The Flickr service was originally designed for desktop computers, and such lineage shows in the app's functionality and design motif. Yahoo's very own Flickr app for iPhone is surprisingly good, and some people even prefer it to Instagram. Most people know that Flickr is a photo-based social network that has been around since before the dawn of the mobile photograph era, but it's done well to keep up with the times, now that it has a sleek app and suite of powerful photo-editing and enhancing features. You get one full terabyte of storage, so uploading full resolution photos isn't a problem. If you're into professional photography and sharing it with your friends, Flickr is definitely worth a try. Rich, robust editing toolkit that goes beyond mere touch-ups. Well-supported part of Adobe's top-notch ecosystem. Better for editing images than for capturing them, so expect to use it in conjunction with other apps. App's focus is on collages. Other Adobe apps are better suited for simple editing. Adobe Photoshop is already one of the leading pieces of desktop software for photo editing, and now you can edit photos right on your iPhone with Photoshop too without having to pay for the premium software package for your computer. Use simple gestures to quickly edit your photos by cropping, straightening, rotating and flipping any image. Adjust the color settings by changing the exposure, saturation, tint, or contrast and apply a variety of sketch, soft focus, or sharpening filters. Make use of the one-touch filters that are included in this app, and then share your photos to Facebook, Twitter, Tumblr, and more when you're happy with the result. Touch-ups tend to be subtle, which helps in making yourself Insta-perfect. One-hit wonder; lacks full editing suite that makes it useful for much beyond selfie touch-ups. In-app purchases for an app this tightly focused seems odd. Airbrushing isn’t just for magazines and professional models anymore. Now you can airbrush your friends, family and even yourself, straight from your iPhone with this extremely popular AirBrush app. This app is great for smoothing your skin, enhancing your facial features, brightening teeth, and so much more. Simply load up the photo in the app, adjust the brightness, smoothness, detail, and tone of your skin to instantly transform your appearance. Share it when you're done.